There is something about a matching set that I am instantly drawn to and this Topshop co-ord is no exception. I particularly like the smart-casual element of this two piece and the versatility that it brings. Worn here with a pair of Office courts for a much needed pop of colour, I have also worn this with my trusted Adidas Gazelles for a more casual look. Complete with a leather jacket, this co-ord can take you from day to night for any occasion. Practical and comfortable...what's not to love?! I have also featured this outfit on my YouTube channel, so make sure you check it out and subscribe if you are new. Click on the thumbnail below to see this outfit of the day in action. I would love to know what you think. You look uhhmaazingg!! Loving this co-ord! I love the trousers they look SO much more amazing! This co-ord is so gorgeous and looks SO comfy!! 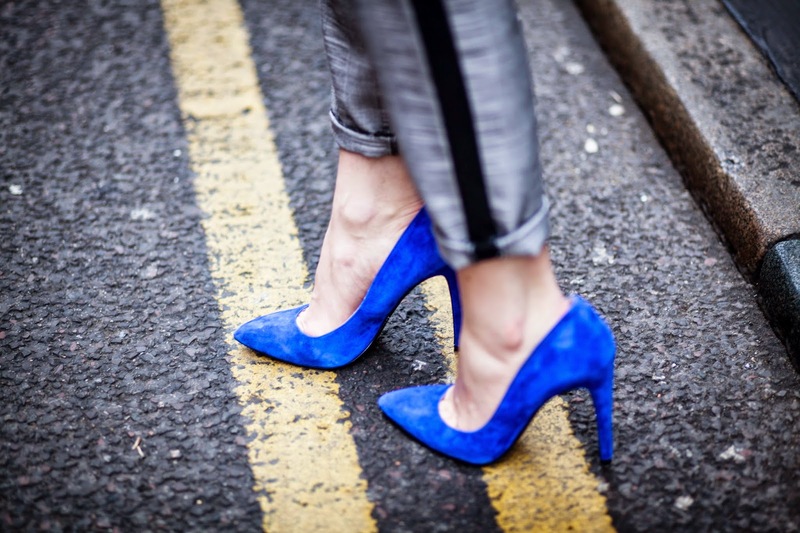 Love how you've styled it with the bright blue heels! Perfect for spring. Perfect, those blue heels are amazing!